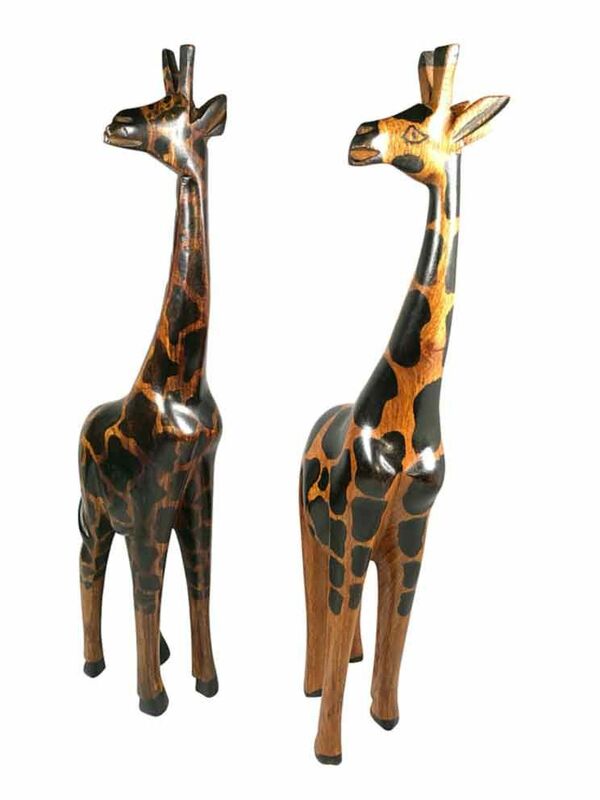 A pair of black and brown wooden giraffe H x15.5". Giraffe made from teak wood. Imported.